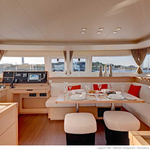 Dragonfly is a name of sailboat Lagoon 450 ,which was produced in 2018. You can rent this boat from marina Split in region very close to Split. 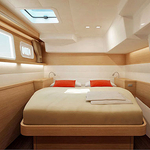 Dragonfly is equipped with 12 sleeping places. Berths on the sailboat are arranged in 12 layout. 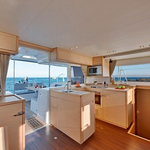 4 bedrooms are situated inside the vessel Dragonfly. 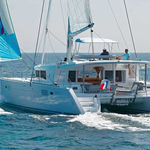 Use our website to find different yachts clicking here: Catamarans Split. 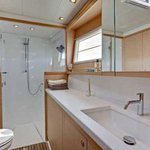 Guests can feel comfortable on this boat , because there are 4 bathrooms for their disposal. 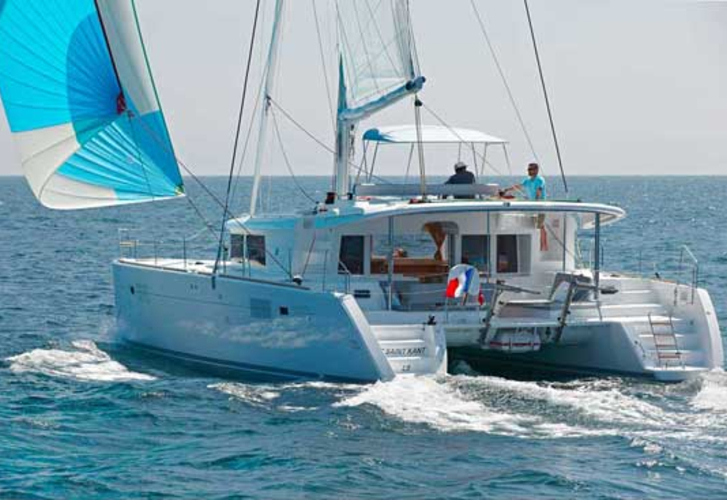 With 1040.00 l l. in fuel tank you can sail really far and still be independent because of 700.00 l l. in water container. Dragonfly is supplied with engine 2 X 57 HP. 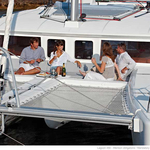 Yacht's dimensions are: lenght - 13.96 m , width - 7.87 m and 1.30 meters of depth. On the sailboat there is following equipment: Air conditioning, radio CD+USB, Microwave, refrigerator in cockpit, Dinghy, Outboard engine. . Nonrefundable deposit there is 3000.00 EUR. 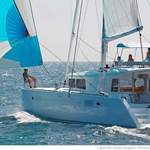 In our search machine you can effortlessly check avalailability of sailboat Dragonfly from Split in this site: Catamarans Croatia.